The writer-producer talks about the 1994 film and building a more expansive world. 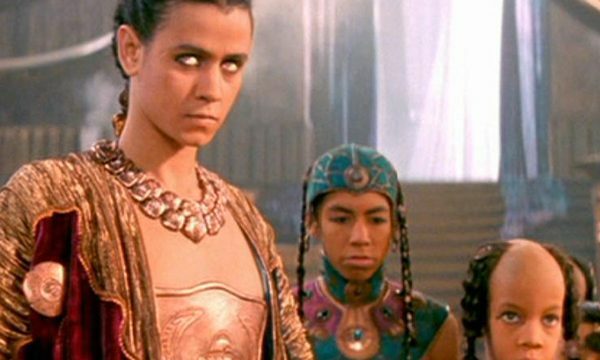 Jaye Davidson plays Ra, the film's lead villain. The chance to return to the world of Stargate is a big opportunity for original film creators Dean Devlin and Roland Emmerich. While work continues on the script for the reboot effort, Devlin told Variety that having the keys to the franchise back will allow them to finish the story that they had only begun to tell in the 1994 feature film. That story, though, won’t let the filmmakers simply pick up two decades after the events of the first film, as they did this summer with Independence Day: Resurgence. That would mean a new discovery of the ancient artifact that can send you “a million light years from home,” as the original film’s tagline said, as well as new iterations of the Jack O’Neil and Daniel Jackson characters (played by Kurt Russell and James Spader in the 1994 film). 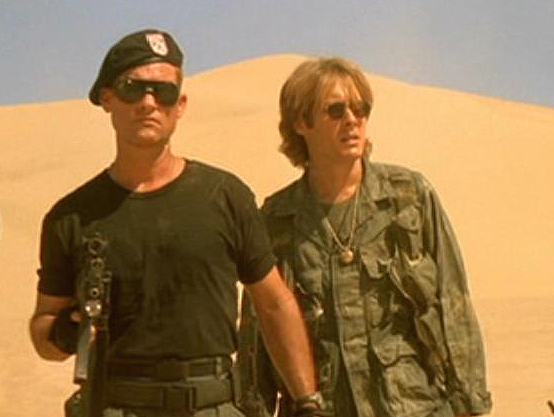 The original Stargate earned a handsome $200 million in theaters. But instead of giving the OK to a sequel (Devlin and Emmerich wanted to make a trilogy) new owner MGM decided instead to green-light a television series proposed by Brad Wright and Jonathan Glassner: Stargate SG-1 (1997). At the time, Devlin and Emmerich turned down the offer to consult on the series. The new Stargate film is being written by James A. Woods and Nicolas Wright, who also wrote Independence Day: Resurgence. If the movies are successful could that mean more Stargate stories, beyond Devlin and Emmerich’s trilogy plans? Even a return to television? The sky, as they say, is the limit. So… Basically they are remaking the original movie. I have to say, the original movie is not bad, but it’s not great either. SG1, SGA, and SGU is what made Stargate great!! I’ll watch for more info with interest, but whether I flock to the cinema to see the new movie is a different story… Wouldn’t it be funny if they remade the original movie and it too was a dead end for the trilogy story he wants to tell and we never see the other two installments. LOL!! A complete reboot seems sensible. That way they can put the movie and series in the background and start something new much like they did with the Star Trek reboot. Now that Emmerich’s “ID4 2” was a domestic box office bomb, only partially saved by foreign ticket sales, I wish MGM would realize that it is foolish to allow him to snub the large fandom of TV Stargate just so he can reboot *his* movie Stargate. It would make far more sense to continue on the TV Stargate world in a ‘next generation’ type approach that built a fresh take on the mythology built over 15 successful years.